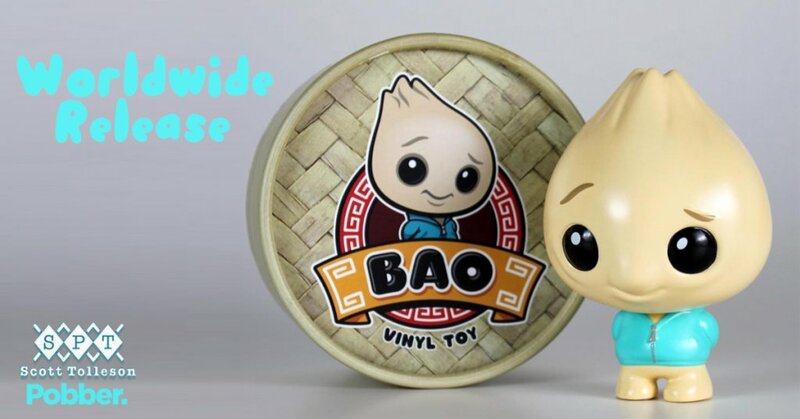 Last weekend, for the very first time, Little Bao by Scott Tolleson x Pobber came out of the streamer and got released at Designercon for the first time in the U.S.A. SELLING OUT like hotcakes within the first few hours of the first day of Dcon! Good news coming from Pobber today”If you missed out on it, worry not as we have set aside some for online release ” SMILES all round! Following the sold-out Little Sparkle and newly released Red Bean Bao this little dumpling boy is ready for your belly, oops we mean collection.